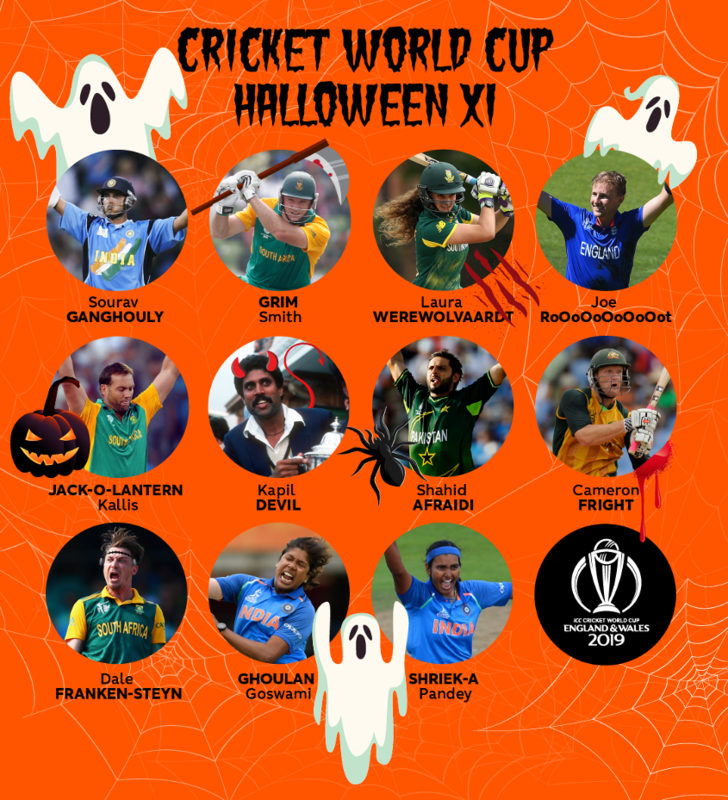 Cricket World Cup Halloween XI! Halloween is upon us, and to celebrate it we've put together a Cricket World Cup Halloween XI. This fearsome side would frighten any team they meet, but can you think of any more players who could be in our line-up? Now that's a fearsome line-up!